The Vietsch Foundation Medal of Honour is awarded annually to individuals or teams that have developed new ideas or demonstrated sustained organisational skills and whose efforts have led to the creation of institutions or services of enduring value. 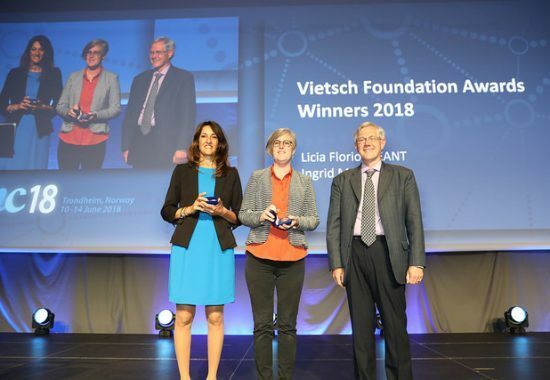 The Trustees of the Vietsch Foundation take great pleasure in announcing that they have unanimously selected two outstanding individuals whose dedication and contributions to community advancement make them each a worthy recipient of an individual 2018 medal of honour: Licia Florio and Ingrid Melve. 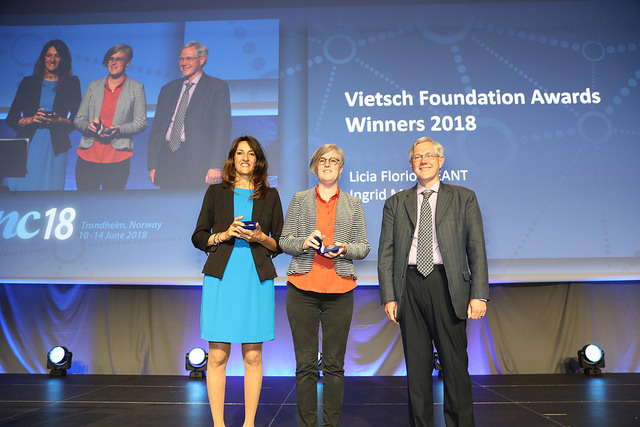 The 2018 Vietsch Foundation Medal of Honour was awarded in Trondheim on 11 June, during the TNC18 conference, the largest European research and education networking event, organised by GÉANT. 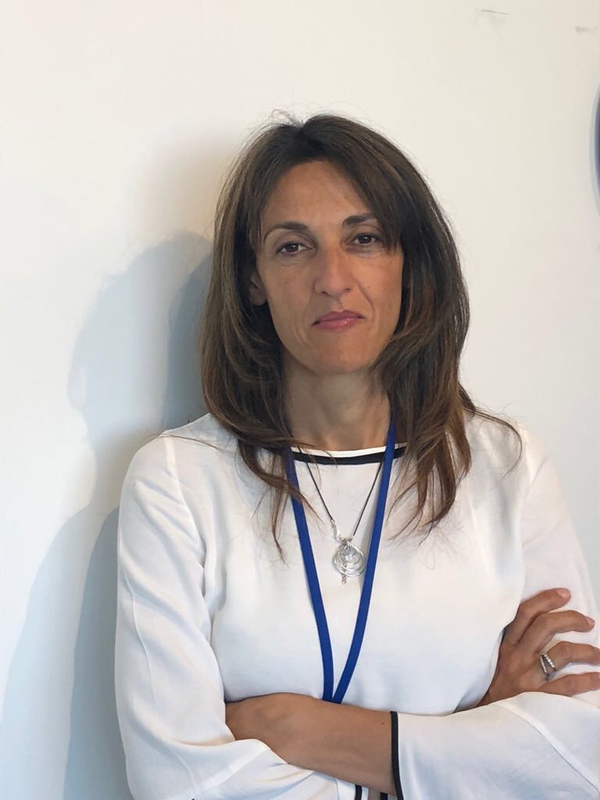 Licia Florio is Senior Trust and Identity Manager at GÉANT. Licia joined TERENA in 2001. 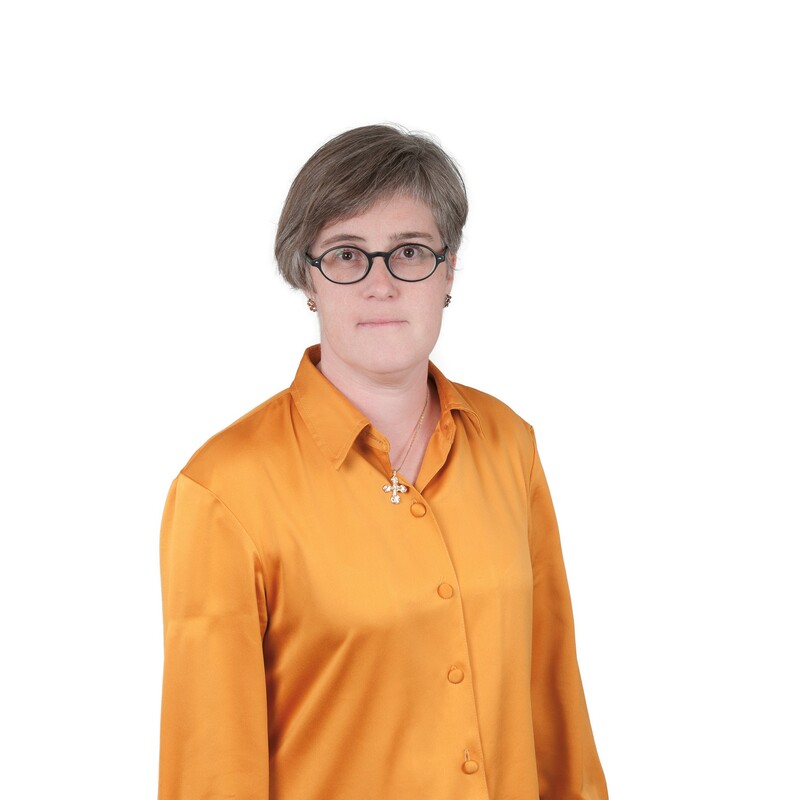 Working in the area of Trust and Identity she has led or guided most of the initiatives that make up the current European and global authentication and authorisation infrastructure for research and education. 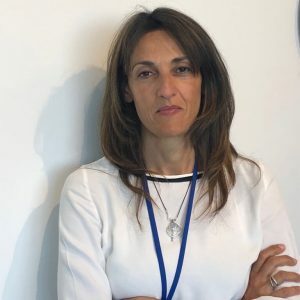 Having supported the Task Forces that produced the eduroam (federated access to wireless networks) pilot and led to the technical infrastructure for eduGAIN federated authentication system, she initiated the EuroCAMP workshops. She led the TERENA Certificate Service that has greatly reduced the price of digital certificates for research and education organisations across Europe, and the TACAR project that facilitates trust between certificates issued for research and education purposes across the globe. Such activities require coordination beyond Europe and she has provided continuing leadership throughout the life of the REFEDS activity developing compatible federation policies and practices. Currently she leads the AARC project that continues to help research organisations to deploy federated access. Ingrid Melve worked at Uninett until December 31, 2017. Since January 1, 2018, she has been working at Unit – Norwegian Directorate for ICT and Joint Services in Higher Education and Research. For more than 20 years, Ingrid has led the introduction of new technologies into research and education, bringing a practical perspective to sometimes arcane technical discussions. After early investigations into how universities could make effective use of web caches, she worked on national and international deployments of federated access management. She then led the first effort by any European research network to help universities and colleges with their internal infrastructure, covering video-conferencing, lecture capture, on-line examinations and much more. Throughout her career, she has been generous in sharing her knowledge with the community, entertaining and informing audiences at many TERENA and GÉANT conferences, as well as contributing greatly to conference organisation.